Le Port vieux de Toulon. La vue est prise du côté des Magasins aux vivres. Date: 1756. Materials: oil on canvas. Dimensions: 165 x 263 cm. Nr. : inv. 8298. Source: http://mnm.webmuseo.com/ws/musee-national-marine/app/file/download/num-5-OA-1-D-b-0711-H.jpg?key=740fb9z4eh5udzdpy1loc3700htk8heqp&thumbw=2000&thumbh=1500. I have changed the light and contrast of the original photo. Antonio Joli – Museo del Prado P00232. 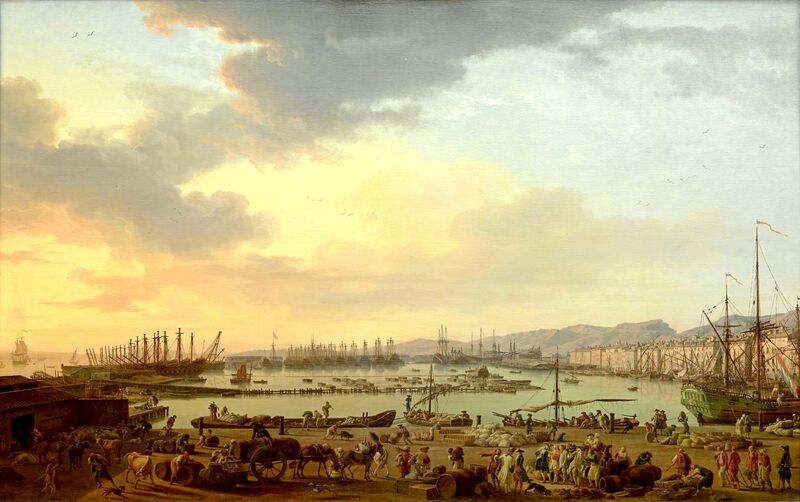 Title: Partida de Carlos de Borbón a España, vista desde la dársena. Date: 1759. Materials: oil on canvas. Dimensions: 128 x 205 cm. Acquisition date: 1982. Nr. P00232. 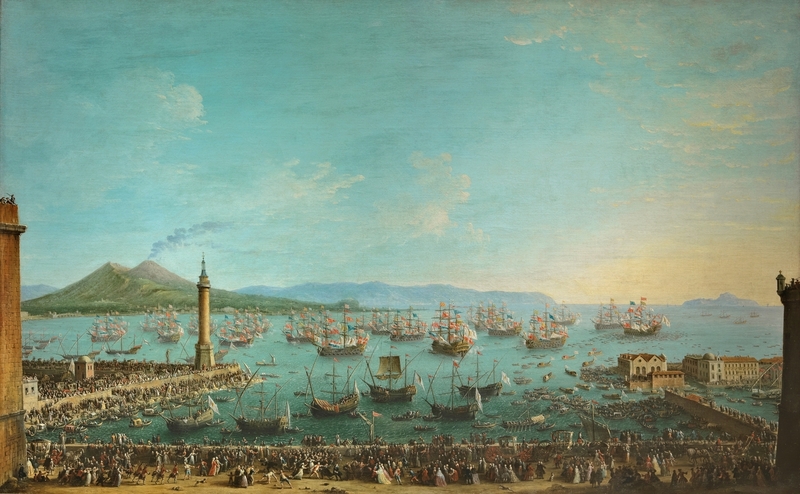 Source: https://www.museodelprado.es/coleccion/obra-de-arte/partida-de-carlos-de-borbon-a-espaa-vista-desde/952abb29-c741-4ba1-88d2-6b87092dc1b1. I have changed the light and contrast of the original photo. Meindert Hobbema – Nationalmuseum (Stockholm) NM 6741. Title: Wooded Landscape with a Watermill. Date: between 1663 and 1668. Materials: oil on canvas. Dimensions: 99 x 129 cm. Acquisition date: 1982. Nr. 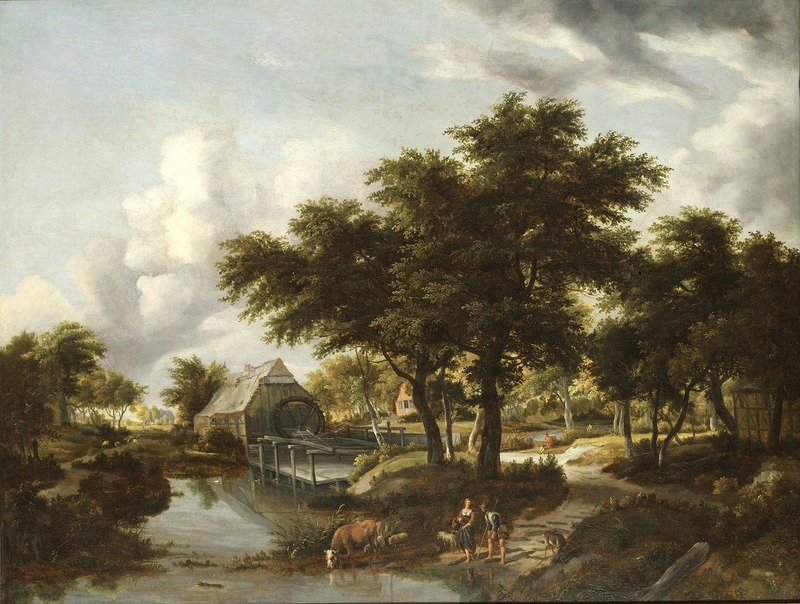 NM 6741: Source https://commons.wikimedia.org/wiki/File:Wooded_Landscape_with_a_Watermill_(Meindert_Hobbema)_-_Nationalmuseum_-_23790.tif. I have changed the light and contrast of the original photo. 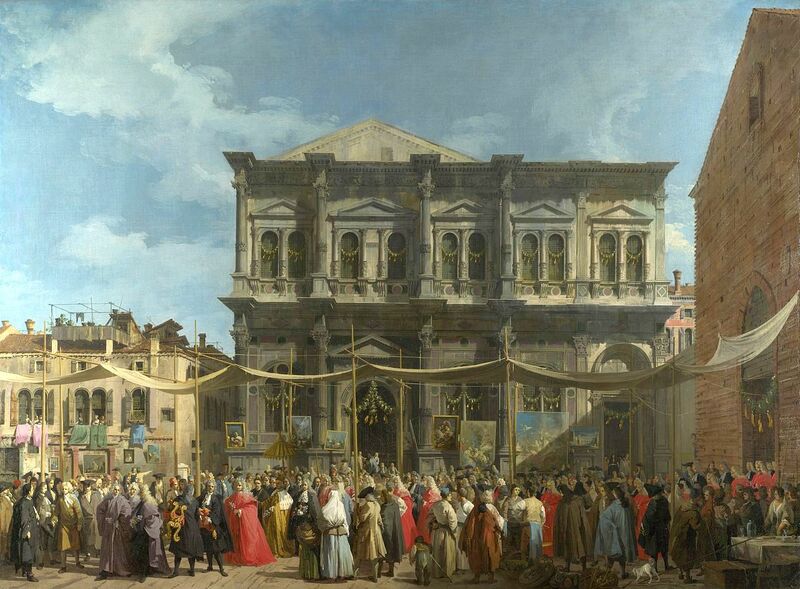 Canaletto – The National Gallery (London) NG937. Title: Venice: The Feast Day of Saint Roch. Date: c. 1735. Materials: oil on canvas. Dimensions: 147.7 x 199.4 cm. Nr. NG937: Source https://commons.wikimedia.org/wiki/File:Giovanni_Antonio_Canal,_il_Canaletto_-_The_Feast_Day_of_St_Roch_-_WGA03905.jpg. I have changed the light and contrast of the original photo. Heinrich Böhmer – private collection. Title: A Woodland Glade. Date: c. 1870-1930. Materials: oil on board. Dimensions: 73 x 103.2 cm. Inscriptions: H Bröhmer (lower left). 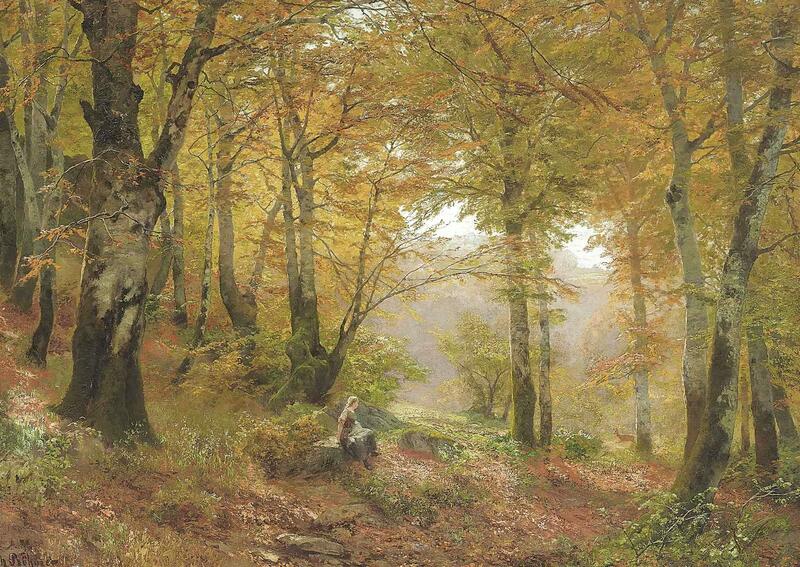 Source http://artsalesindex.artinfo.com/auctions/Heinrich-Bohmer-5378491/A-Woodland-glade. I have changed the light and contrast of the original photo. 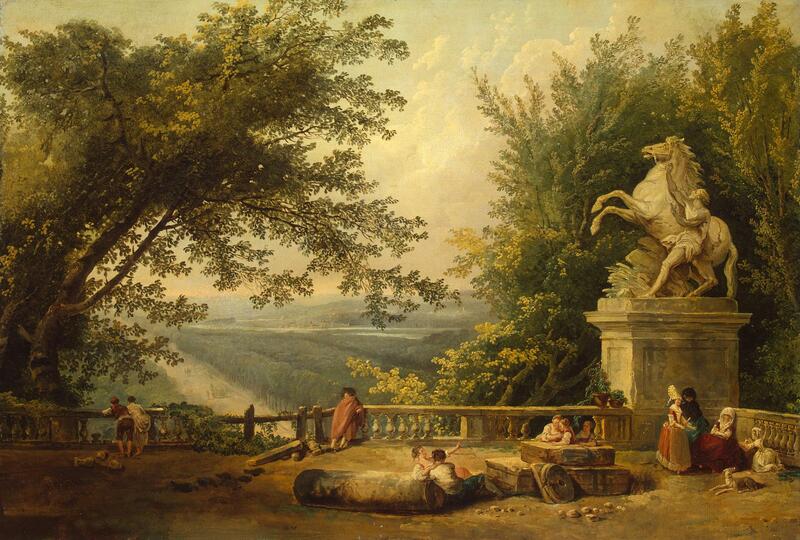 Hubert Robert – The Hermitage Museum ГЭ-5647. Title: Ruins on the Terrace in Marly Park. Date: early 1780s. Materials: oil on canvas. Dimensions: 59 x 87 cm. Nr. : ГЭ-5647. 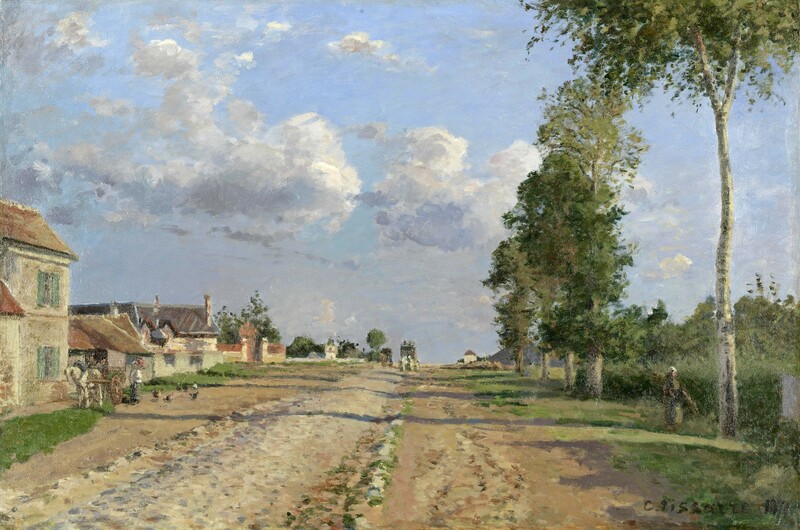 Source http://www.hermitagemuseum.org/wps/portal/hermitage/digital-collection/01.+Paintings/37945/?lng=en. I have changed the light and contrast of the original photo. Gentile Bellini and Giovanni Bellini – Pinacoteca di Brera 160. Title: Saint Mark Preaching in a Square of Alexandria in Egypt. Date: 1504-1507. Materials: oil on canvas. Dimensions: 347 x 770 cm. Nr. : 160. Source http://pinacotecabrera.org/en/collezione-online/opere/saint-mark-preaching-in-a-square-of-alexandria-in-egypt/.